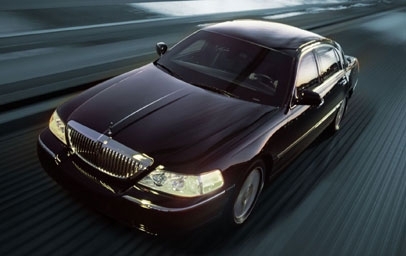 The Lincoln Town Car, due to its dependability, has been and still is the workhorse for limousine companies across the country and will be for the foreseeable future for limo service Los Angeles. As Lincoln quit manufacturing it and will be phased out in the future, we purchased the last of the Lincoln's for sale in LA in May of 2012 to last for the foreseeable future. The Lincoln Town Car accommodates 1 to 4 passengers, and these discrete vehicles provide leather interior, unsurpassed head room, rear heat and rear air-conditioning ducts, and Dolby sound systems. Each is supplied with 2 sealed waters. This Executive Sedan is the preferred vehicle for corporate travel, though the SUV is catching up rather quickly. Loaded with all the Luxury amenities that you would expect from Lincoln The Towncar L is 8 inches longer than the standard Towncar. This gives the passengers in the back plenty of legroom, similar to the difference between flying First Class versus Coach.